live on the Cancer Support Network! ​An innovative radio show on health promotion in the face of cancer from the authors of The Definitive Guide to Cancer and The Definitive Guide to Thriving After Cancer. This show focuses on proactive, practical ways to utilize an integrative approach to health including diet, movement, rejuvenation, spirit and dietary supplements to help you to reduce your risk of cancer, heal from a cancer diagnosis, and gain optimal wellness. Naturopathic oncologist, Dr. Lise Alschuler, and research journalist, Karolyn A. Gazella, survivors of cancer themselves, will translate key scientific findings, introduce you to leading experts in the realm of integrative healthcare, and feature inspirational people diagnosed with cancer. Join us on Tuesdays at 4 pm Pacific time/ 7 pm Eastern time for an uplifting, motivating, and informative show that helps you thrive, not merely survive. You won’t want to miss Five to Thrive Live! 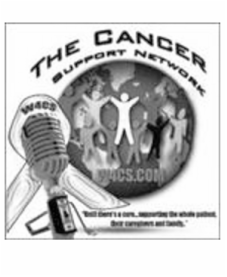 To listen live, go to Cancer Support Network at 4 pm PT (7 pm ET) every Tuesday. 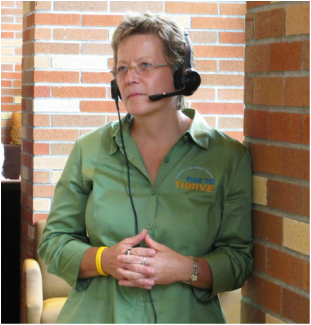 Click here for this week’s Five to Thrive Live Schedule .